The late, great Maya Angelou once advised, “You can’t use up creativity. The more you use, the more you have.” What better way to reinvigorate your creative spirit than by curling up on the sofa and leafing through a new coffee table book? Whether you are on the hunt for a healthy dose of inspiration or looking for a way to get creative in a spare hour or two, these books will fire your imagination. Leonardo da Vinci maintained that an image transmitted knowledge more accurately than words and filled his notebooks with sketches of beasts, bodies, dissections, whirlpools, flying machines and architecture. This amazing book explores how artists used drawing to express, develop and represent their thoughts. Filled with works by artists including da Vinci, Rembrandt, Matisse and Picasso, this book is a visual feast and is something that will encourage you to pick up your sketchbook. Book Cover. Lines of Thought Drawing from Michelangelo to Now by Hugo Chapman. Indulge in some armchair cultural travel with this richly illustrated collection of 500 masterpieces from the Metropolitan Museum of Art by artists including El Greco, Caravaggio, Velázquez, Goya, Rembrandt, Brueghel, Renoir, Gauguin, Cézanne, and Pollock. A great way to experience and revisit the Met’s incredible collection. Looking for a new challenge? Why not take a look at this easy to follow and visually exciting collection of historical dress patterns for historical garments such as a nightcap, cloaks, and doublets. Book Cover. 17th Century Men’s Dress Patterns 1600-1630 by Susan North. This beautiful book is a lyrical riff on the significance of beloved objects in our lives – big and small, famous and every day. Colorful, engaging, and insightful, My Favorite Things features more than fifty objects including the pocket watch Abraham Lincoln was carrying when he was shot, original editions of Winnie-the-Pooh and Alice in Wonderland and a pair of Toscanini’s trousers. A great example of how imagination and creativity can make the ordinary extraordinary. This haunting collection of photographs of objects drawn from The Museum of Witchcraft and Magic in Cornwall, England is an intriguing book to dip into again and again over many candlelit evenings. 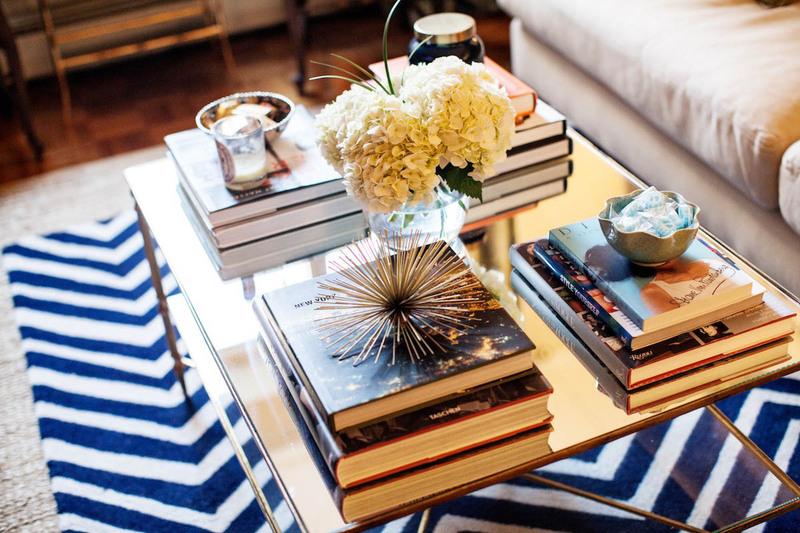 I hope one of those books will find a perfect place on your coffee table. A book can be a perfect present for any occasion.